While the search for missing local woman Madison Scott continues, community efforts to raise money for the search fund are also ongoing. A fundraiser at the Buffalo Beach bar on Saturday June 4 raised over $5,500 for the fund. The night was organized by a family friend of the Scott’s, Kelly Ross. She said the night was a huge success. “We raised way more money than I expected,” said Ross. “Entrance was by donation … people put anything from a toonie to a $100 bill in there,” she said. A portion of the liquor sales were also donated to the fund and all of the bar and waitressing staff donated their tips from the night. A fundraiser was also held by NV Video on Sunday June 5. All the proceeds from any films rented or purchased between 10 a.m. and 10 p.m. went to the fund. Just under $1,700 was raised. Heather Meda, the owner of NV Video, is also a friend of the Scott family and wanted to do something to help. Meda said she may do another fundraiser at the store. “It depends how long it [the search] goes on for – if it still keeps going on I’ll do it again for sure,” she said. 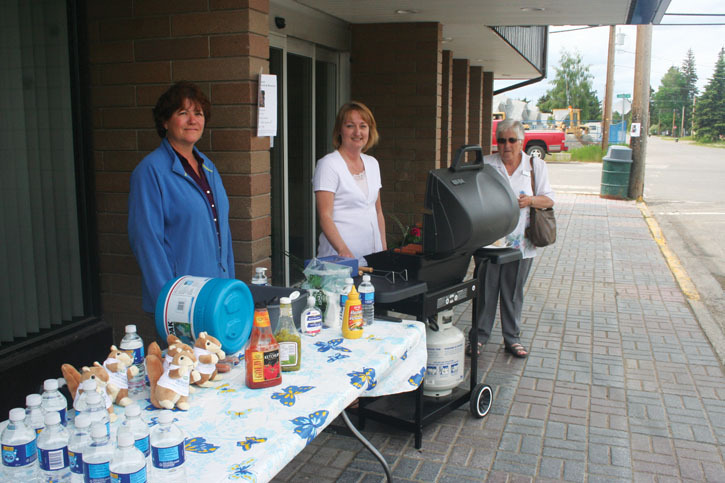 Last week Integris Credit Union set up a concession stall outside their building on Tuesday, Wednesday and Thursday to raise money for the fund. Hotdogs and water were sold for a three dollar donation and all proceeds went to the fund. Integris donated all of the provisions. Staff working on the stall said they had raised approximately $1,000 during the three days.